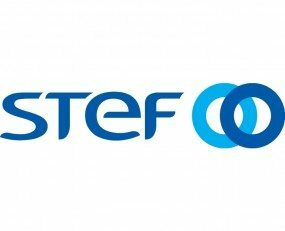 The annual results of Stef confirmed the good progress the French company has made in the past couple of years – and was reflected by a stock market performance of over +50% since the end of 2015, with its shares now trading at all-time highs, and were further boosted this week by a solid trading update. The cool chain logistics provider exploited favorable trends last year supported by growth in European food consumption, the improvement in core transport activities domestically as well as the opening of new sites and the roll-out of new operational schemes. Growth was visible in its international operations, with an efficient development model in Italy; notable advances in the Iberian Peninsula; and structural transformations in Switzerland and the Netherlands. Group turnover rose 5.4% to €2.97bn from €2.8bn in the prior year, but remarkably its EBIT and net income lines rose at a much faster pace, up 7.4% and 7.6%, respectively, which showed strong financial discipline, among other things, including operating leverage. Both EBIT and net income margins were stable, at 4.4% and 3% respectively. Almost 50% of EBIT was generated by the Transport France unit, whose operating profit rose almost 19% to €60.5m. Its Logistics France division, meanwhile, felt the pressure, with EBIT down 12% to €17.6m, but that decline was offset by a rise in profits in the international business, which experienced EBIT growth of 16.7% to €32.2m. Maritime activities saw EBIT fall to €8.2m from €15.4m but as the group acknowledged “La Méridionale recorded a capital gain of €7m in 2016 on the sale of the Scandola ship”, so those numbers should be adjusted for comparable purposes, yielding flat earnings.